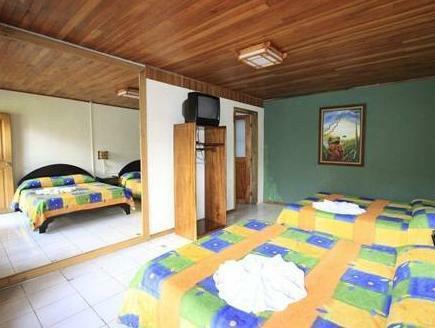 ﻿ Best Price on Arenal Hostel Resort in La Fortuna + Reviews! Have a question for Arenal Hostel Resort? 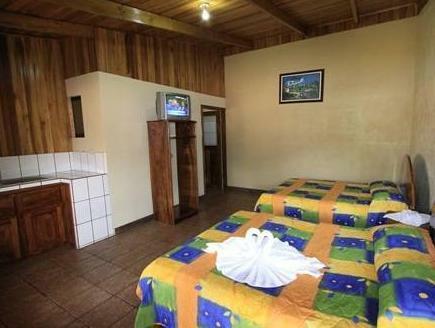 If what you're looking for is a conveniently located hotel in La Fortuna, look no further than Arenal Hostel Resort. Situated only 00.00 Km from the city center, guests are well located to enjoy the town's attractions and activities. With its convenient location, the hotel offers easy access to the city's must-see destinations. At Arenal Hostel Resort, the excellent service and superior facilities make for an unforgettable stay. A selection of top-class facilities such as free Wi-Fi in all rooms, casino, facilities for disabled guests, Wi-Fi in public areas, valet parking can be enjoyed at the hotel. Hotel accommodations have been carefully appointed to the highest degree of comfort and convenience. In some of the rooms, guests can find television LCD/plasma screen, internet access – wireless, internet access – wireless (complimentary), air conditioning, wake-up service. Throughout the day you can enjoy the relaxing atmosphere of the outdoor pool, indoor pool, massage, garden, water sports (motorized). Discover an engaging blend of professional service and a wide array of features at Arenal Hostel Resort. There was a scorpio in the room at our first night. As we understand this is Costa Rica, they gave us a Raid can and nothing more was done. On the other hand, the site is well equiped and the staff is nice. It is near everything you need. The most luxurious hostel I've stayed in anywhere in the world! Super-clean and well run, with an AC unit in my room more modern than anything I've seen in the US. An oversized Jacuzzi with a swim-up bar in the midst of an amazing courtyard with hammocks is only part of the charm. I met more people hanging out there during three evenings than I had in the past two years of everyday life (in LA, nonetheless). Location is not only central, it's essentially the centerpiece of La Fortuna. The advisories: If you get a room around the main courtyard, it will be noisy in the evening, at least till 10pm when the bar closes. You need to ASK for towels and leave a deposit. Also, a very affordable 3hr laundry service is available. Can't beat the value with a mallet. Eat at Soda La Hormiga Restaurant with the locals for dirt-cheap. Ask the staff where it is (the second parking lot behind the hostel). WARNING: We booked here, but were moved to "Hotel la Fortuna". This type of changes are SUPER common. Lonely planet book even says so too. Staff was friendly at La Fortuna, location is great. Yet, we can't really rate this hotel, as we stayed in "hotel la fortuna" (as part of this reservation). Hotel la Fortuna was GREAT, we got free breakfast, and this is a 3 star hotel (vs 2 star on Arenal hostel. Still worth booking. Very good hostel. Only negative points, wifi wasn't working in our room and they switch off the electricity at night. Therefore if you have to use the toilet it needs to be in the dark. You could tell that is was a hostel from the rooms, which were really basic. Room was really dark, there was only one dim light the roof. We didn't want to keep our curtains open because our room was in front of the bar. During the evening there was a lot of noise coming from the bar. Request room somewhere else if you want to go to sleep early. We were very happy there. Not sure what else to say. Fab. It was like no hostel I know... Felt more like a full fledged hotel , it has a swim,up bar for goodness sake and nothing is too much for staff to help u with better than some hotels I've stayed in! El baño no tiene donde se puedan colgar cosas para bañarse lo cual es incomodo. Las instalaciones de encuentran en buenas condiciones. Un buen lugar para relajarse. Prima. Personeel was vriendelijk en makkelijk. Zeker een aanrader voor het geld wat je betaalt.